Once upon a time, Sabbatini was made from dreams. You’d dine deliciously while looking out over Piazza Santa Maria, which at least in summer was a wonder of the world. You’d see Henry Kissinger or James Taylor perhaps, or Fellini and his entourage. Those were the days, my friend. Not that the view has changed. Rome preserves such things. What it doesn’t treasure sufficiently is quality. Sabbatini, opened in 1954 by two young brothers, has fallen off its 60s/70s heyday for reasons as mysterious as the essence of romance. 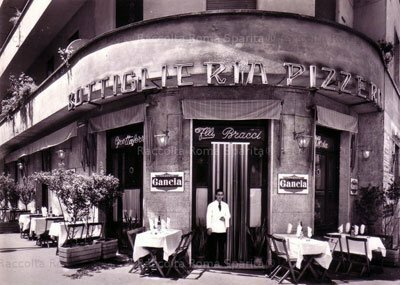 The antipasti and main courses (the usual Rome suspects: carbonara, grilled beef, piccata, pollo con peperoncini, as well as a rich assortment of white fish) remain more or less what they were. And they still make you wait for an outdoor reservation no matter how far in advance you booked it. 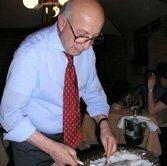 The once-stalwart food of the Rome celebrity are is now traveled, predictable, almost charmless. Maybe it’s aging ownership. Maybe it’s Rome’s new cigarette-free world. But Sabbatini just pumps it out and lets the venue do the rest. That’s not enough when the bill comes to €150-200 in two (assuming a decent red). If only Fellini could come back to make it all more worthwhile. Dream on.